A Japanese proverb says that if you have a pleasant experience of eating something that you have not tasted before, your life will be lengthened by seventy-five days. One evening at a sushi bar could add years to your life. The food is so fresh and the waitstaff have great recommendations. Great food, waitress a little over worked, forgot several of our orders. 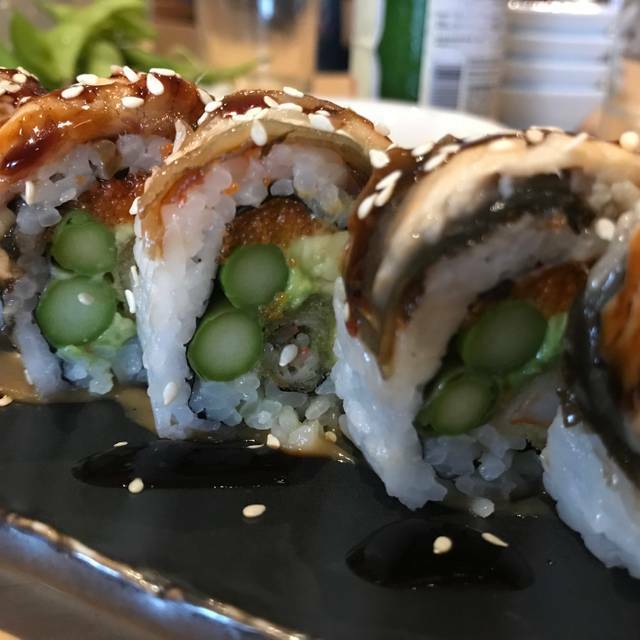 Wonderful restaurant with delicious sushi and a large range of fish and shellfish to choose from (I would recommend the Kani maki, absolutely amazing). The employees are super inviting and never fail to accommodate your needs while you are dining. Definitely the best sushi joint in St. Louis. Outstanding! Everything from the service to the joy you can see in the Chef’s working. This place is something special. The food - the best garlic noodles ever. And the Hamachi appetizer is not to be missed. Those items were so good, I had to order the dynamite roll and an order of the garlic noodles to fly back to Nashville so my fiancé could taste them! I hope I’m in St. Louis again just to eat here. Go, if you haven’t been! The best sushi I've had in St. Louis. All the other food was excellent as well, along with the service. I will be going to this restaurant regularly and recommending it to friends and family. Hands down the best sushi in town. It's in a non-descript strip mall set well back from Manchester. You'll never bump into it accidentally. But that just means you have plenty of time free parking, unlike downtown or Clayton. The menu is broad and everything is of the highest quality. They fill up after 6 on weekdays, so that speaks for itself. It's not as cheap as a typical corner all you can eat dive, but you truly get what you pay for. Service is always superb. It can be a little noisy when full, but still very nice for a special date. Nippon Tei never disappoints! Their new décor is stunning, and the food is always incredibly delicious. We asked our server for some recommendations, and she was spot-on with what we were looking for. Simply amazing sushi! Best sushi I have had in a while. Can’t wait to go again! We had a dinner reservation for a Saturday and were seated right on time. 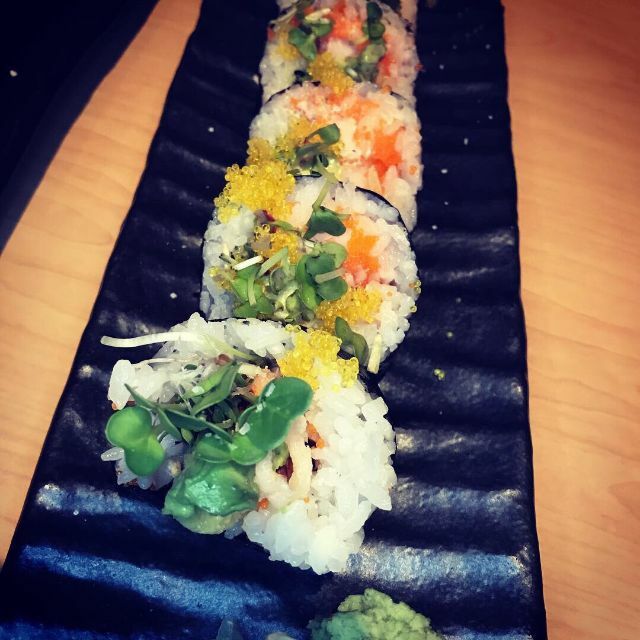 The quality of ingredients was great and this was our best sushi experience so far in St. Louis. There were three things that detracted from the experience for me. I was seated directly under a bright light and could not move past the spotlight feeling during the meal, one of the servers kept bringing our plates with her arms completely full before our table was cleared and asked me twice if I could hold the empty plates so that she could place the new dishes on the table, the very first roll that was served to us was a roll with Chile sauce and it made it challenging to get the full flavors of the more subtle dishes we ordered that came later. If we go back I'll specify that super spicy dishes arrive last. To be fair, my expectations may have been a tad too high since there has been so much hype about this place. The quality of ingredients deserves the hype, the overall experience could use a little more polishing. This sushi is hands down the best I’ve had in St. Louis! 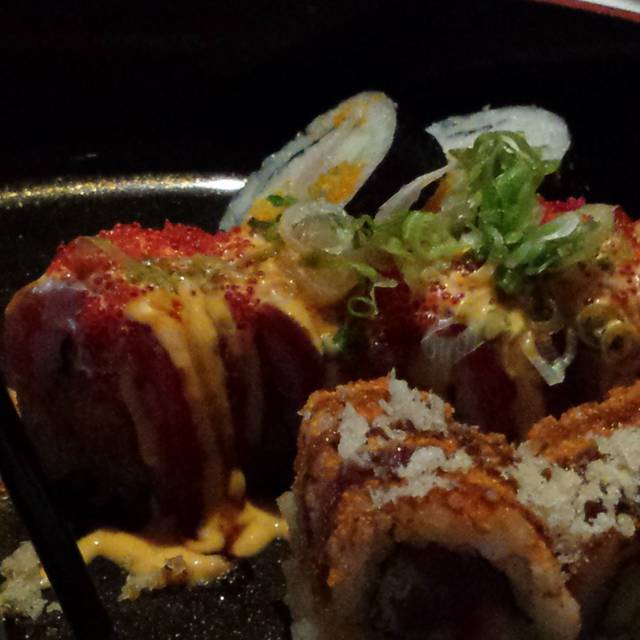 I dream about their spicy tuna roll and can’t wait to go back! This is my new favorite Japanese restaurant. The food was amazing and the service was exceptional. Everything was perfect. Best sushi in Saint Louis and the hospitality was excellent! The food tasted good, fresh ingredients. I would have preferred one of the dishes to have a touch more flavor, but that's just personal preference. Service was very good, although towards the end of our meal, we had to find our server to request more water and hot tea. We will definitely return. Best sushi in St. Louis hands down. Worth the drive every time. We love Nippon Tei! Best sushi in St. Louis. Always fresh always perfect. Some of the best sushi I’ve ever had and definitely the best in St. Louis. As always the sushi is stellar.. creative, exquisite and mouthwateringly fresh. The staff is knowledgeable, personable, and professional. My favorite restaurant bar none in the area. Nick is a sushi superhero. Our family went to Nipon Tei to celebrate two March birthdays. It was a great place for this occasion. The food is very well executed, and the ambiance can’t be beat. We liked our waiter who was so kind and helpful. It’s a wonderful restaurant. We had the most amazing time and the food and service were exceptional. The decor and ambiance are lovely and the jazzy background music really set the vibe. Our server, Jackson was friendly and knowledgeable. The sushi was fresh and delicious! It is our all time favorite sushi restuarant. We were celebrating my son’s birthday and it was a truly wonderful experience from start to finish! A+!! Phenomenal food, and great service!! Our waitress Angela is great and very attentive. She also explained the types of Sashimi we ordered as to what type. We enjoyed ourselves immensely with the best, fresh food. My wife ordered the Miso soup and she loved it. Even your Green tea was the best I have ever tasted. I am not a Sushi fan, which is why I ordered Sashimi but I loved my Wife's Unagi Maki, especially the surprise crunch. Will definitely return. Thank you for your high standards. Great and accommodating. Out appt prior to dinner ran late they were able to still get us in. Definitely recommend reservations to insure you get a seat place was packed Friday night!! We were underwhelmed. For a place that has several write ups in local papers, this was not that great. We wanted to love it! Reservations were honored and we were sat quickly. Service started out good but quickly went downhill. Our server was nice but he had too many tables. Unfortunately, we heard him apologize to the table next to us. We also overheard another table saying that they were very disappointed in their food. And we saw a table that sat for about 20 minutes before they even had an order taken (and it was not even their server). The food was fair. It was fresh. We ordered a salad, had to ask 2 different people 2 different times for silverware. The salad was not chopped. It was big leaf lettuce which is fine, but I am not sure about protocol for eating that with chopsticks. We ordered 3 different rolls, one for him, one for me, and one to share. The shareable one came out first - that was fine. Then our nigiri came out. We picked at the Rainbow Roll becuase we had nothing else to eat so we went slow... then his roll came out. I didn't want to eat more of the rainbow roll but we didnt have anything else... He was nearly done with his roll and i finally finished the rainbow and still no 3rd roll.??? so we asked about it, they said the rolls come out as made. weird. so they make one of my rolls, then another tables roll, then another table, then back to me? why would they not make all 3 of my rolls at the same time? anyway, we finally got my roll about 20-30 minutes later - after my husband had finished all of his food. weird. all in all - that day was not worth the hype. i wish it wouldve been better. Best sushi in St. Louis hands down. And we’ve tried it all! Nick Bognar and the team at Nippon Tei are absolutely crushing it. It is the freshest fish in Saint Louis by far and the finesse each of the chefs have is incomparable. 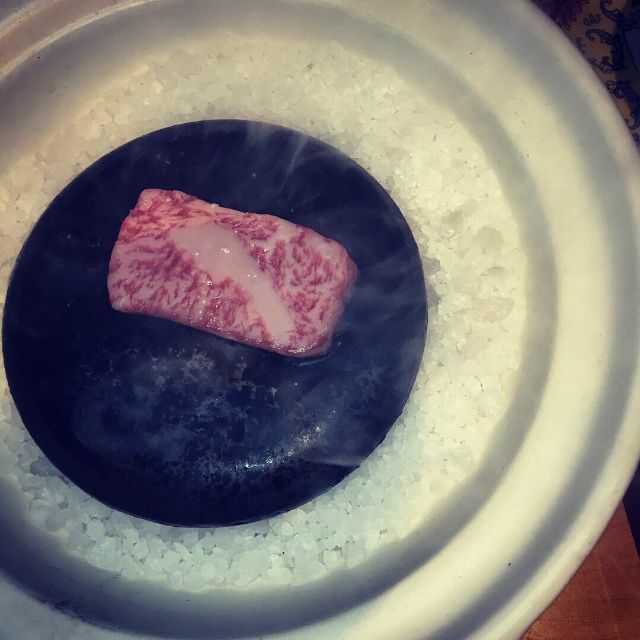 Get the Moriawase and the Omakase. The Kani Maki roll is phenomenal. 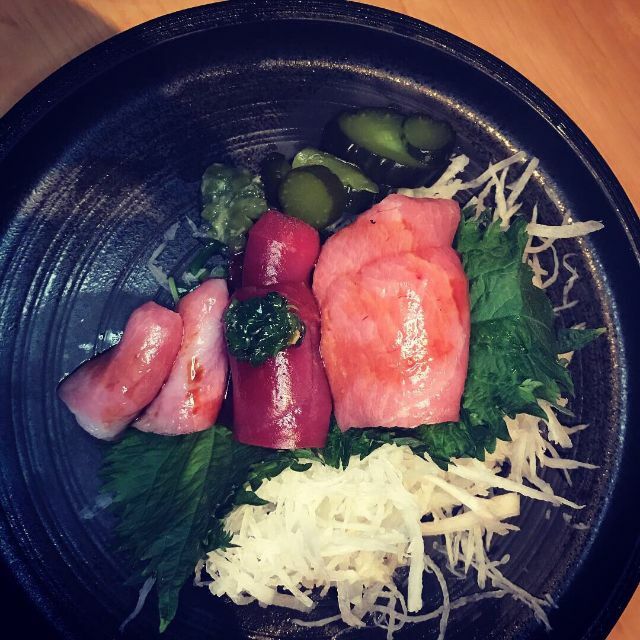 And if they have it, indulge in some Otoro. It's always great to find out the hype is also the truth. We had heard a lot about Nippon Tei recently and it absolutely lived up to the hype. Great ambiance, wonderful service and fantastic food. 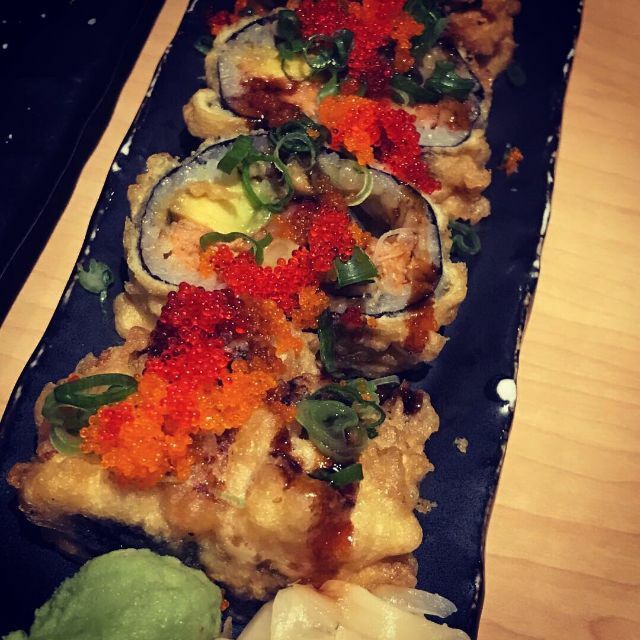 The best sushi we’ve had in St. Louis! A fabulous dining experience! 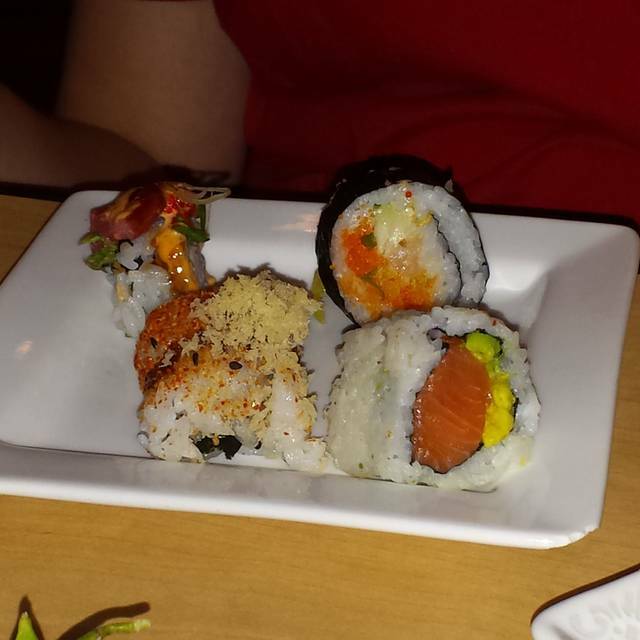 Delicious food, the menu updates are fantastic and stand out from other sushi restaurants in the area. The staff was helpful and very attentive, even on a packed Saturday night drinks were quickly refilled and food was promptly brought out. Our server Michael was excellent and challenged us to try something differenct. What a gret recommendation. Best Sushi in STL. Hands down. Has saved sushi in St. Louis. Hands down the best sushi in St. Louis. 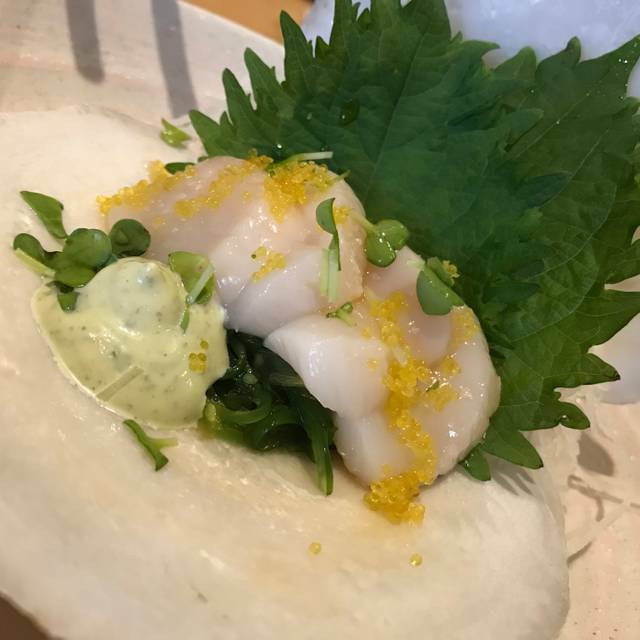 The quality of the fish rivals what I ate in Japan. Excellent fish. very fresh. Combos very tasty. Rolls a bit spicy...have to choose less spicy ones going forward. A little noisy but very accommodating We had a wheelchair and they had reserved a corner table where we could just pull up. Thanks to them..
Best Japanese food I have ever had! I brought my family and we were all impressed. Everybody tried everything and loved it all. Even Crab Rangoon was awesome. 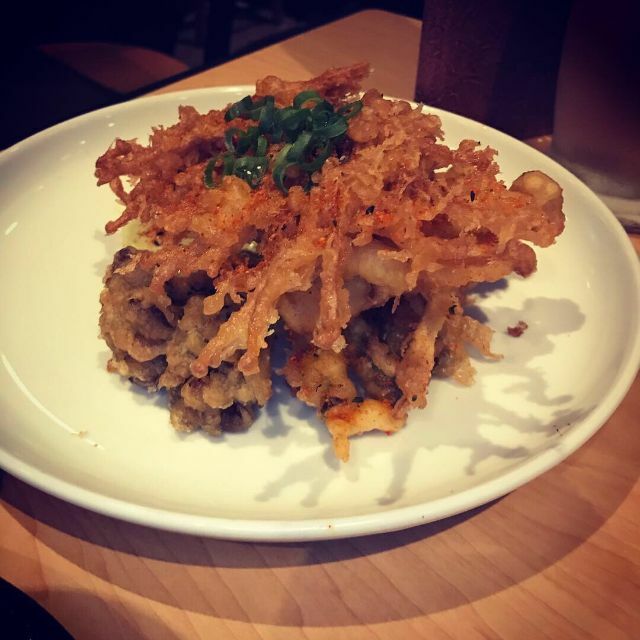 All 3 Tempura dishes were a hit. We had several Sushi dishes delighted us. Two had noodle dishes that we all tried. We shared both desserts for our finale! Kudos! The food was great but we waited a very long time for our food. We went during lunch and had reservations. The restaurant was busy and clearly the kitchen was understaffed.